Is it time to start fishing the deep sea? Some scientists are urging caution. In the ocean’s twilight zone—the shadowy region from 200 to 1,000 meters below the surface, formally known as the mesopelagic—lurks a cache of fish so massive, the military reportedly once considered trying to hide their submarines beneath it. Small and often bioluminescent, many mesopelagic fish sport cartoonish big eyes and oily flesh that help them thrive in the dark, cold water. And as the world faces a decline in surface fish stocks and a growing demand for protein, resource strategists behind the European Union’s Blue Growth Strategy to expand the maritime economy have identified the estimated 10 billion metric tonnes of fish lurking in the depths as an unexploited resource. Danes and Norwegians are exploring mesopelagic fisheries in the Indian and Arctic Oceans, says Michael St. John, an oceanographer at the Technical University of Denmark. In Iceland, experimental fishing for pearlside is currently underway, following a precautionary approach. It’s not easy to catch these fish. Technical challenges include: finding suitable trawl nets, preserving the catch until it reaches harbor, and unwanted by-catch. “As soon as [fishermen] get the technology nailed down, there will be a potential gold rush,” says St. John. Mesopelagic fish, says US National Oceanic and Atmospheric Administration fisheries biologist Noelle Bowlin, won’t be showing up on your plate any time soon. Most often, their fats are quite unpalatable to humans. Instead, St. John says, the fishing industry is looking to mesopelagic fish to satisfy the future demand for fish feed and fish oil. The fish could be used to raise more edible species through aquaculture, and may show up in human dietary supplements. But tapping into this unused resource could have profound global ramifications—for climate change as well as biodiversity—which is why St. John and his colleagues are calling for an unprecedented assessment of the role these species play in ocean carbon storage and marine food webs before the fisheries are developed. Without more research, it’s impossible to predict the consequences of opening a commercial mesopelagic fishery. But as St. John suggests, scientists suspect the impact would extend beyond the direct effects on the fish populations. The so-called “biological carbon pump,” essentially sinking dead organic matter, sends roughly 11 gigatons of carbon each year to the deep ocean. Without this pump (of which the lanternfish activity is just a part), atmospheric carbon dioxide concentrations would be about 50 percent higher than they are. St. John says conducting detailed studies exploring the potential ecosystem-level consequences of a mesopelagic fishery before it opens would be a landmark move. He says that there is time to gather the necessary data so that if and when these fisheries do open, they can be managed sustainably from the get-go. So far, mesopelagic fishes’ contribution to the fish meal and fish oil industries is “very small, if not negligible,” Neil Auchterlonie, the technical director at the Marine Ingredients Organisation, an international body representing the fish meal, fish oil, and marine ingredients industry, says by email. Similarly, a spokesperson at the Global Organization for EPA and DHA Omega-3s says they are not aware of any mesopelagic products currently available, particularly for direct human consumption. But fisheries can develop quickly, says Andrew Clayton, the director of a Pew Charitable Trusts’ project to end overfishing in northwestern Europe. For example, a decade ago, boarfish were regarded as a spiny species that was only good for clogging nets. Now, fishing fleets and governments haggle for shares of the stock so that the fish can be used in fish meal. In the United States, at least, it could be difficult to develop a fishery for a mesopelagic species. The Pacific Fishery Management Council has proposed a plan to prohibit new fisheries targeting as-yet-unmanaged forage fish without scientific information on harvest sustainability and potential ecological effects. The US National Marine Fisheries Service has until mid-March to take action on the proposal. Mike Heath, a population biologist at the University of Strathclyde in Glasgow, and a co-author, alongside St. John, on the call for more research, says that the fishery council’s plan to delay the opening of the mesopelagic fishery is a good one. But he notes that such a ban will eventually be challenged, making it all the more imperative to gather any evidence needed to guide sustainable management of what are likely slow-to-reproduce species. “We have to make sure that anything we do now doesn’t endanger the prosperity of people in the future,” he says. So often, conservation biologists and fisheries managers are working to undo the damage caused by overfishing. With mesopelagic fish, they have a chance to get it right from the start. 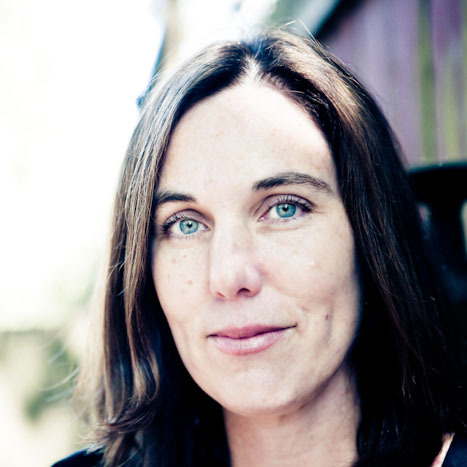 Virginia Gewin is a freelance science journalist based in Portland, Oregon. Her articles focus on biodiversity and conservation, and have appeared in Nature, Discover, the Washington Post, Slate, and others. In 2016, she received an Alicia Patterson fellowship to report on efforts to preserve global crop diversity. Cite this Article: Virginia Gewin “Fishing the Deep,” Hakai Magazine, Mar 8, 2016, accessed April 23rd, 2019, https://www.hakaimagazine.com/news/fishing-deep/. Entrepreneurs and governments are trying to make use of the whole fish.